Beautiful quilt and amazing pics. I love it! 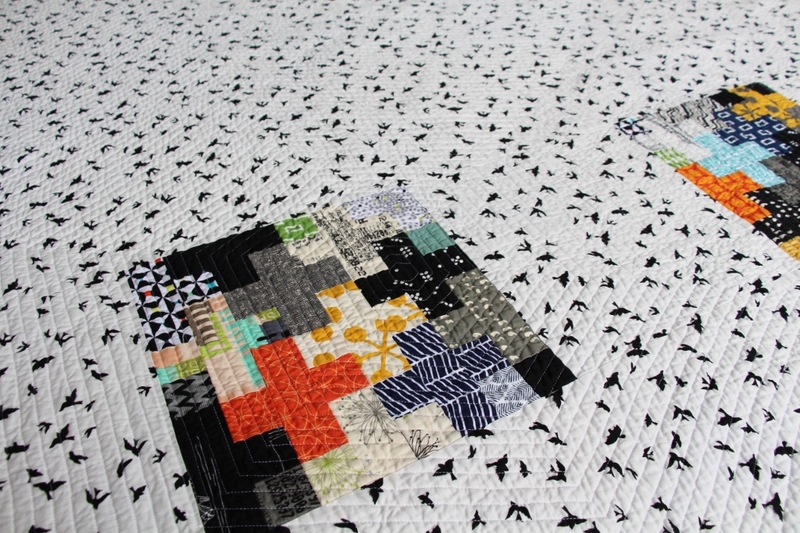 specially the spiraling quilting; your lines are so narrow! Good job! 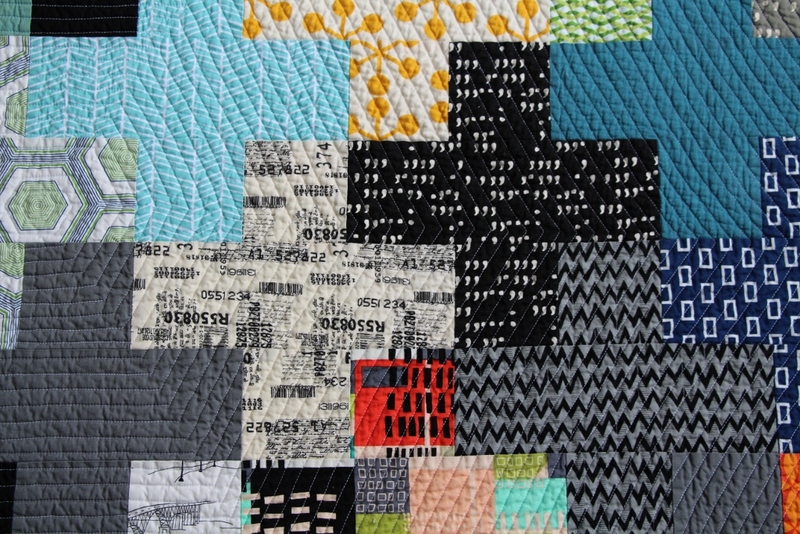 This is a lovely quilt, I love the plus signs. I made one myself but alas it's still a flimsy and it was made in March 2013. 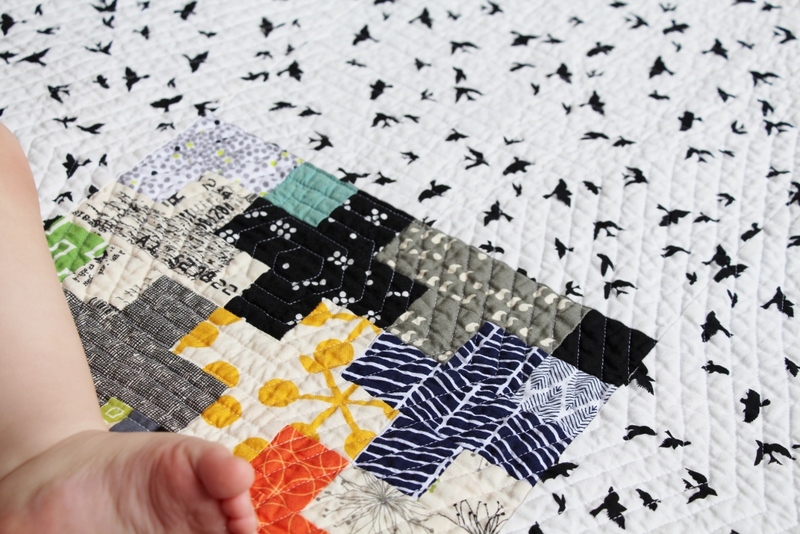 I think I'm scared of quilting it, but I like how you've quilted yours, it's really lovely. 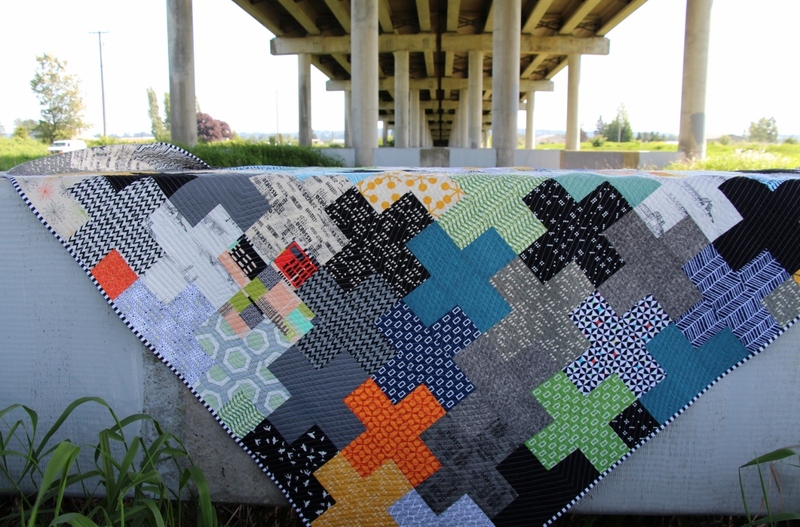 Your crosses quilt is so gorgeous! Love the great series of photo’s and the family involvement! The quilt is beautiful, but I really love all of your photos, the last one just made me smile, because I can tell everyone was having fun!!! what a fabulous quilt Jade - full of wonderful memories. Really like the shots taken under the overpass! i love the mini quilts on the back. very nice! What a beautiful quilt and I love that it was such a family effort and still romantic at the same time. Very cool! This is so amazing!!!! 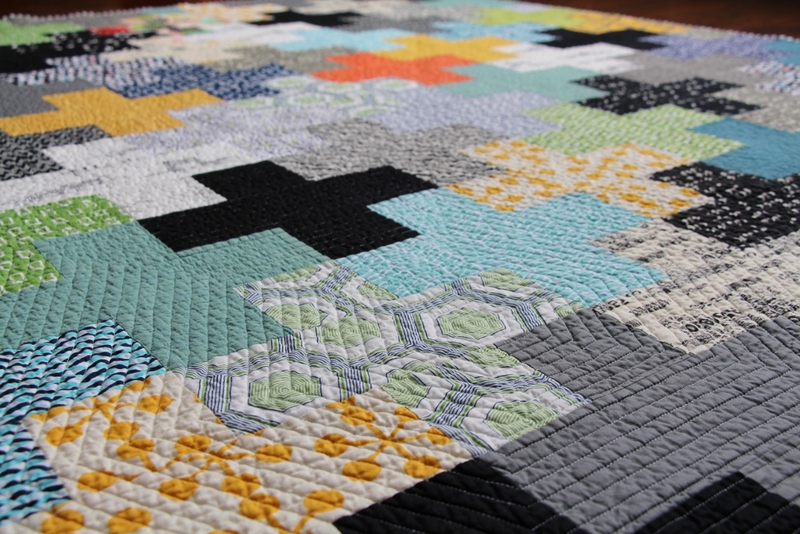 The quilting is TO DIE FOR too. How'd you find so much of that Waterfront print for the back? !- it's selling out so fast! 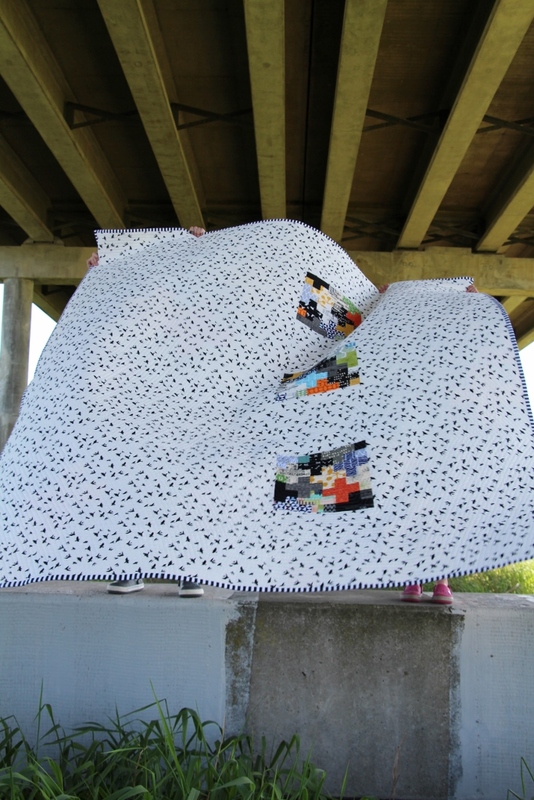 This is my favorite quilt I've seen this time so far ! The color choices are striking together, so graphic and masculine, yet I LOVE THEM as a woman ! 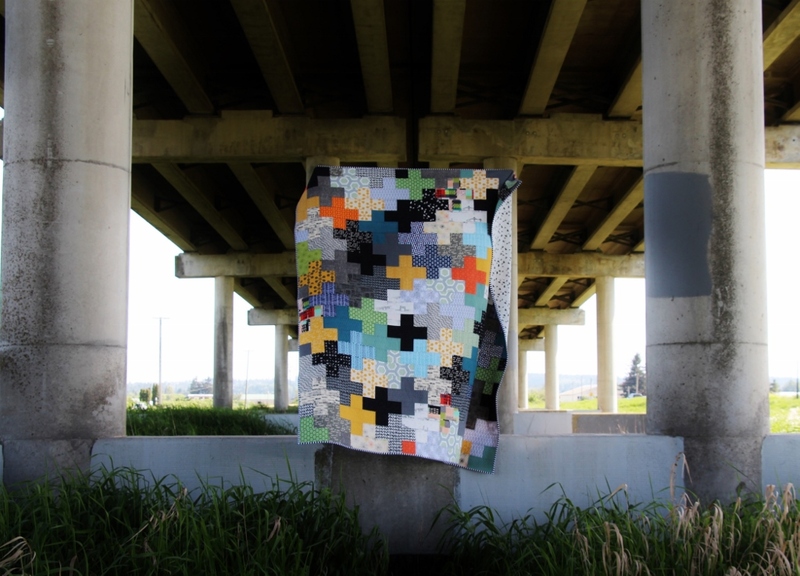 You told a great story, had wonderful photos, and seem to be a real PART of this quilt. Congratulations ! Love your post, your photos, and your story :) This is just great! I am also playing along in the festival for the first time and it is awesome to see so many lovely quilts and read their stories! It's gorgeous and the pictures are so fun. 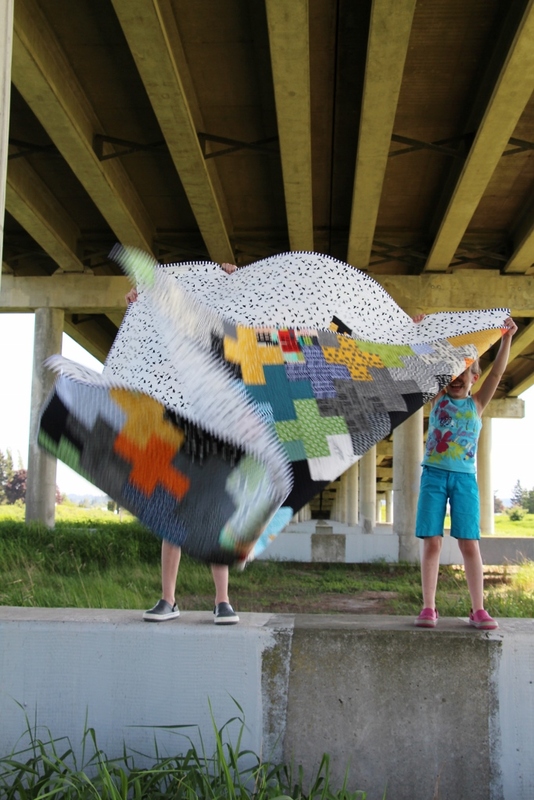 Absolutely stunning quilt, and I love that your kids were so involved in the process. Fantastic backing too! 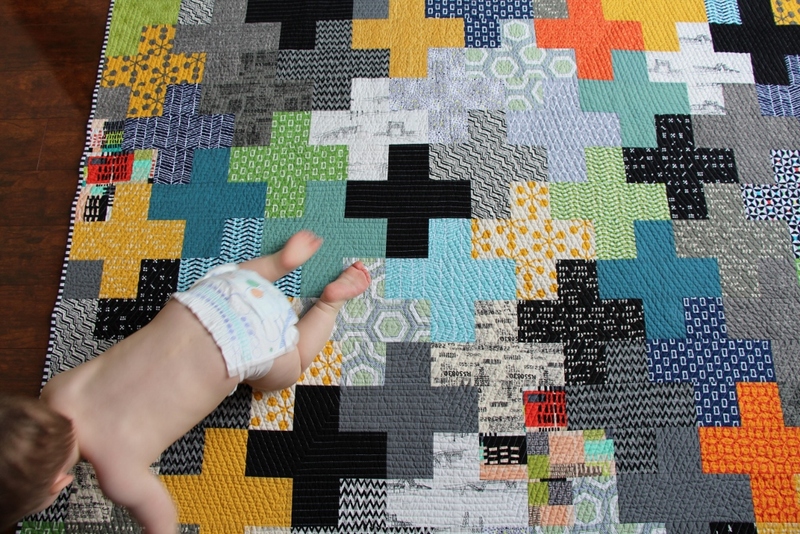 Great quilt, I really love the colors and prints! 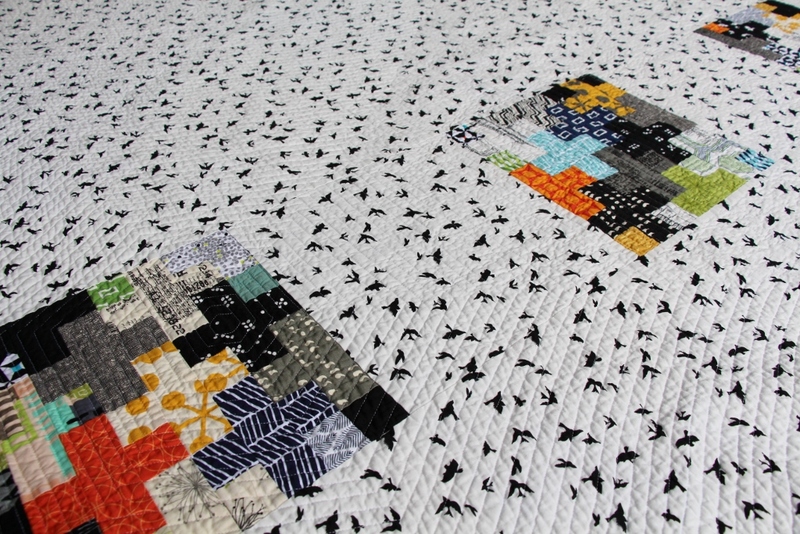 Gorgeous quilt and beautiful quilting. What a happy post! Great pics! 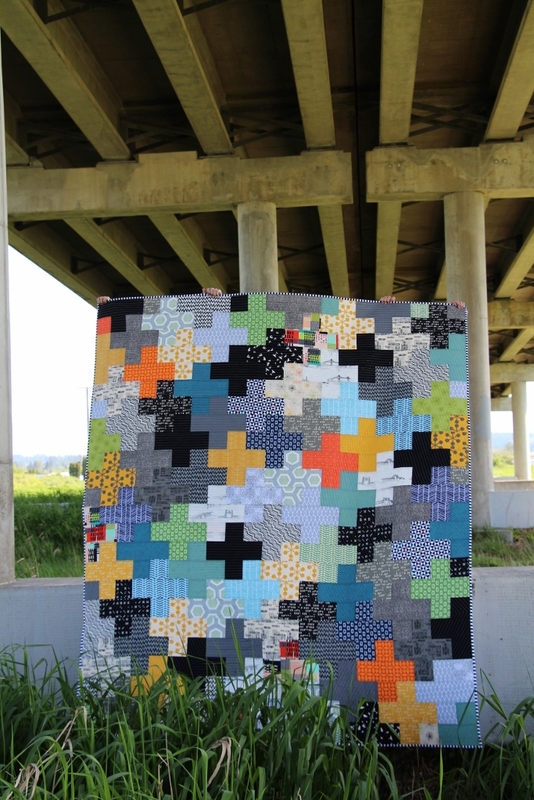 Now, I've looked at ALOT OF QUILTS over the past 2 days, and this is STILL MY FAVORITE ! That's a special one for sure! 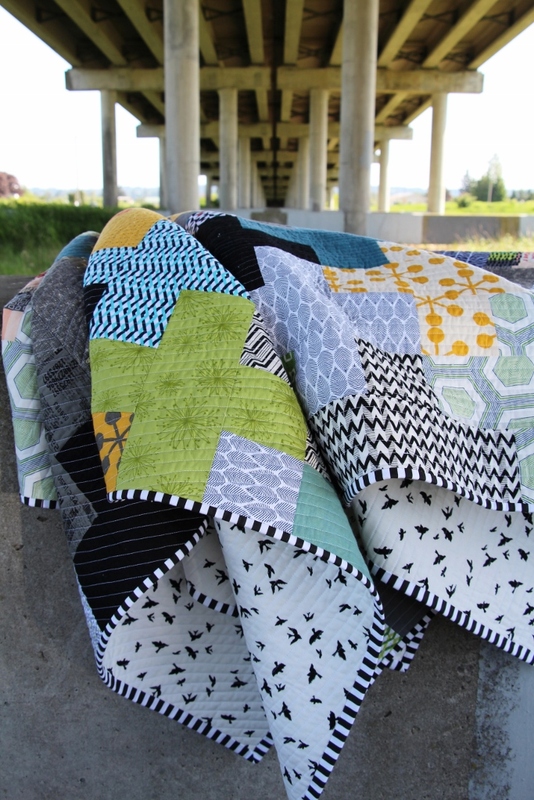 What an awesome quilt for your hubby from all of you and your hexagon quilting is spectacular! I might have to use that on something very soon!! congratulations on your 12 year wedding anniversary! 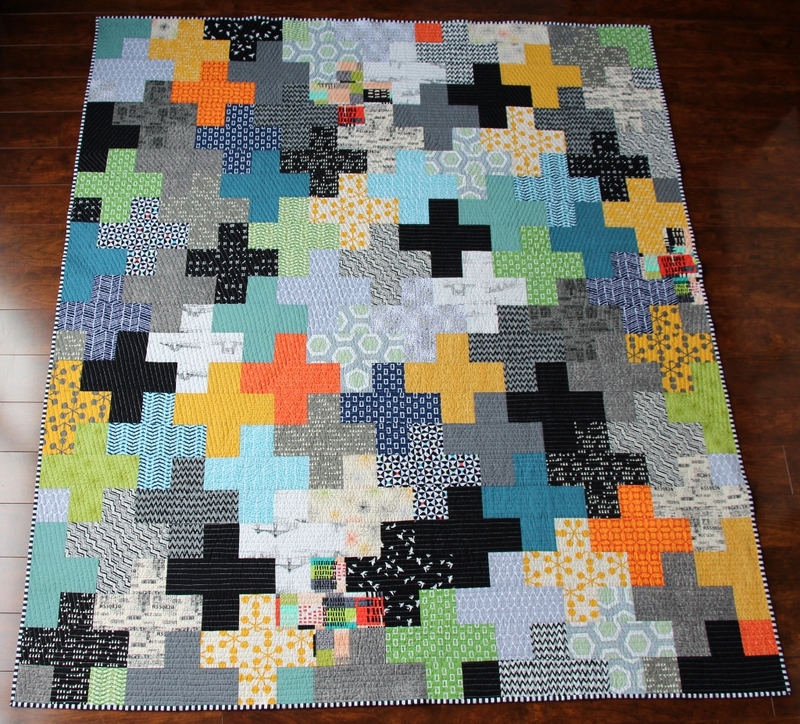 and the quilt. i'm over here giving you a standing ovation. it's quite wonderful!!! l love your photos, the fact that you got all of the family involved, and the backing is pretty darn clever, too. love it ALL! what a heartfelt and thoughtful gift. my question is, did he love it??? thanks for linking up to finish it up Friday, Jade! 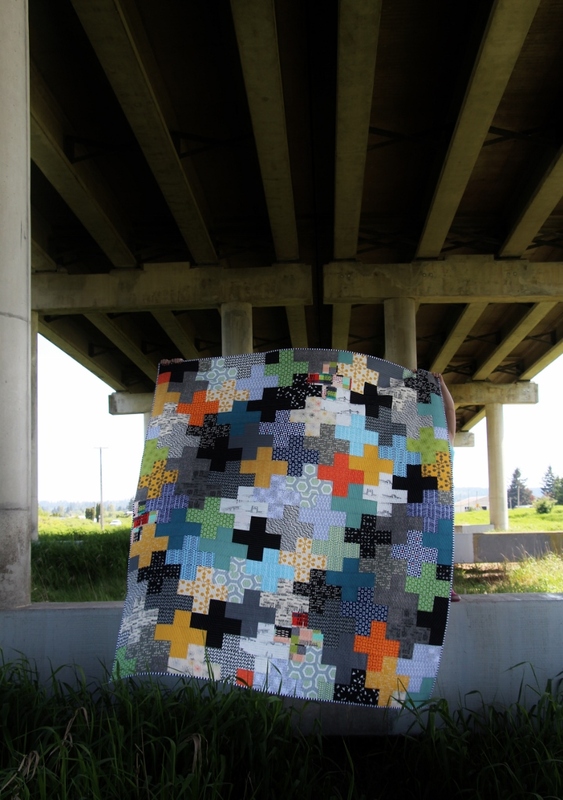 Love your quilt and photos! What a great quilt!! It looks confident. visiting from crazy mum quilts. This is awesome. 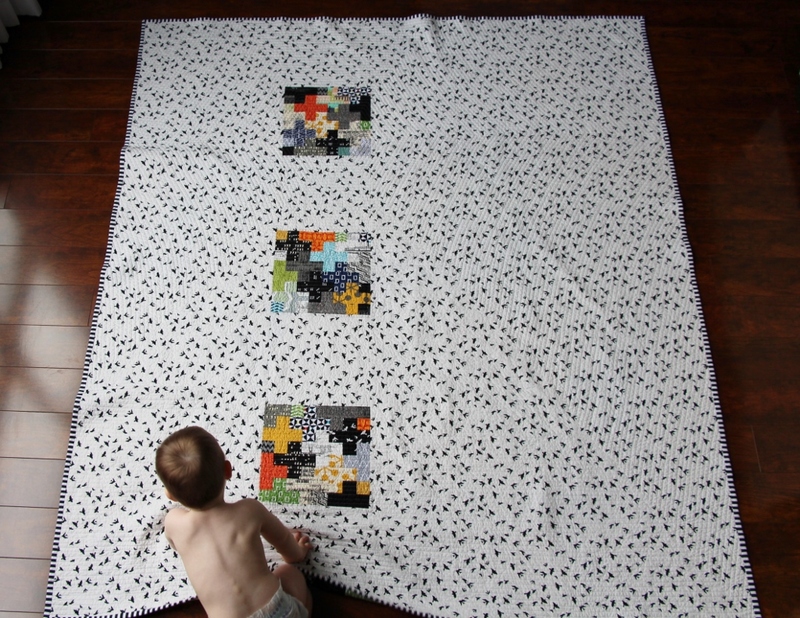 I did a plus quilt for my son and love it. Then made him a cushion too. It is a pattern that no matter the colours you choose always looks amazing. I have pinned your photo as I love your colour choices. 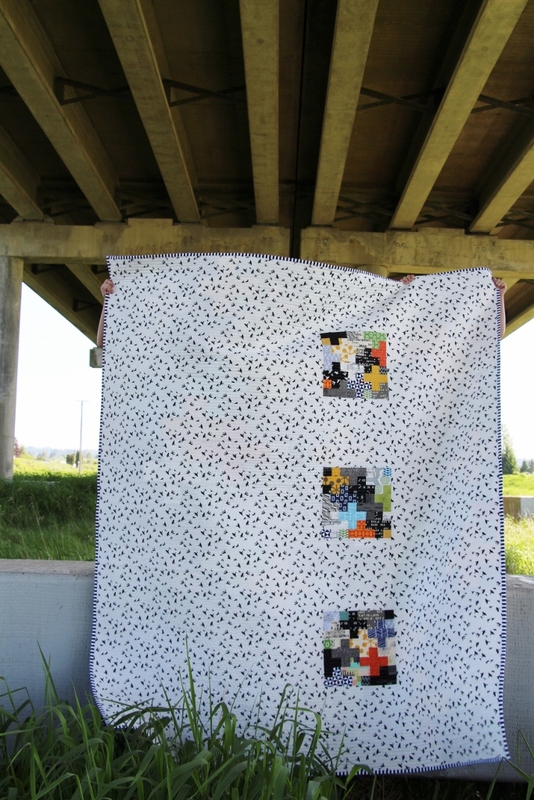 I voted for your quilt! I love the front and back of this beauty.